What’s dry and crispy but not as good as crisps? Frizzy hair, naturally (or crispy seaweed, though that looks less good on your head). And as luck would have it, today we’re looking at a hair care range for frizzy hair (the desire to wear seaweed on your head I cannot help with, although here in Brighton, anything goes). 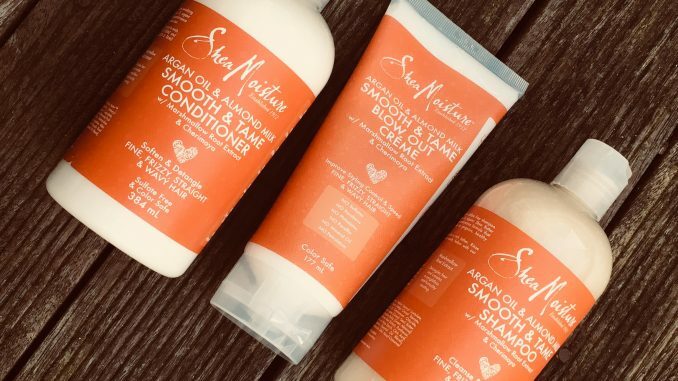 Shea Moisture is one of those brands which has been around for ages, but its packaging and presence is quite modest so it could easily pass you by. It dates all the way back to 1912, when a widowed teenage mum sold home made hair products in Sierra Leone. The company is still family owned and operated, with the products now being made in the USA. This is one of those brands where the story is as much about what the products don’t contain as what they do. There are no sulphates, no parabens, no phthalates, no paraffin, no mineral oil, no synthetic colour and no petrolatum. Instead there are some (though not all) organic and fair trade ingredients, and the range is cruelty free. These products are suitable for people with fine, frizzy, straight, wavy and coloured hair. They’re made with almond milk, argan oil, marshamallow root extract and raw shea butter to help tame frizz, detangle and lock in moisture. The shampoo has a slight milky scent to it, and the other products are more almondy. It’s not a strong or overpowering fragrance. The conditioner is thinner in texture than you might expect but together with the shampoo it did a good job of moisturising my dry hair. My hair is short and wavy and tending towards frizz. It’s also thinned out quite a lot over the last year, which is very common in your forties. So I’m left with thin and frizzy, what a delight. I used all three products every other day for the last fortnight, and I found that they were great at moisturising, though they didn’t 100% eliminate the frizz. For that I think you would have to do a lot more work in blowdrying than I can be arsed with first thing in the morning. The Blow Out Creme is particularly good at defining waves and curl without weighing the hair down or making it go crispy. And now I need some crisps. 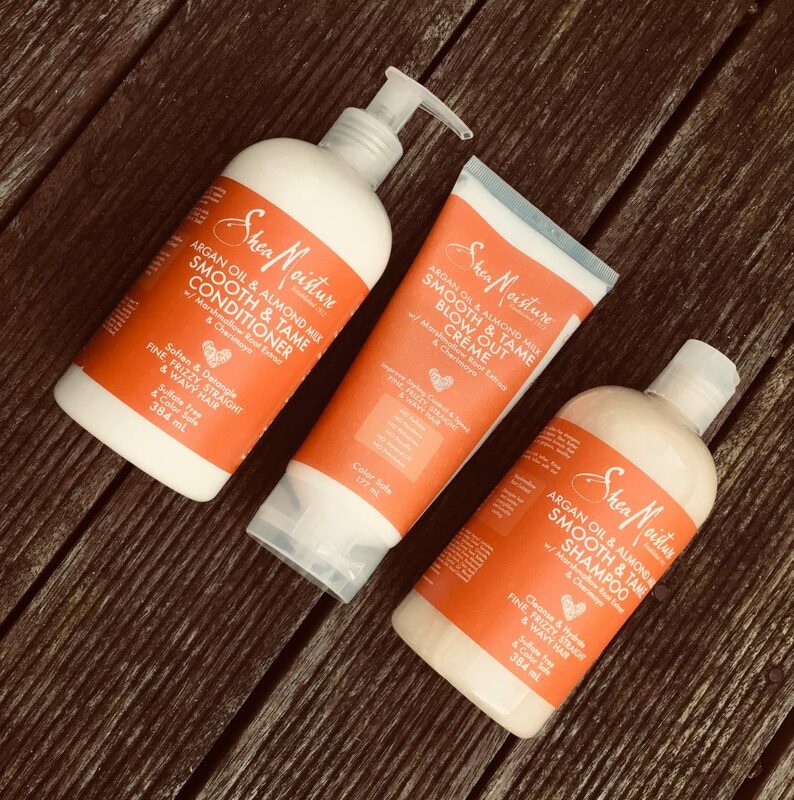 Shea Moisture hair products are widely available at outlets including Boots and Superdrug.